I have read with interest your stories about Hurricane Beulah. 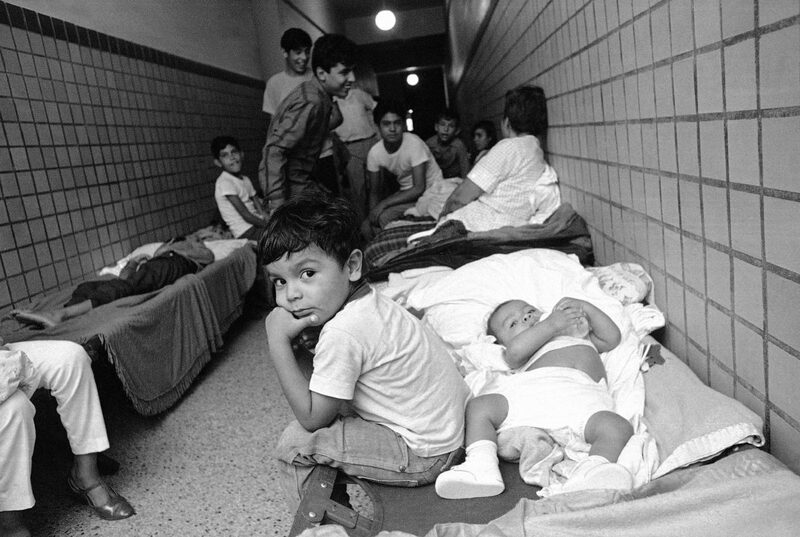 Having lived in the Valley all of my life, and in San Juan during Beulah where I was mayor, I remember the events. The storm blew down trees bordering the east-west streets especially and the city had to hire people to cut them up and a fleet of trucks to carry them off to an area where they could be burned — with fires that were running 24 hours a day for several weeks. While there was of course damage, the most pressing need was to get rid of the water that had no place to go. Fortunately, Water District No. 2 had previously emptied all of their canals and accommodated the city in allowing us to pump a great deal of the water there. The various local and other governments are to be thanked for the immediate aid they made available, however from a long range standpoint the county did wonderfully well in arranging for a master drainage system that now allows heavy rain water to be evacuated. 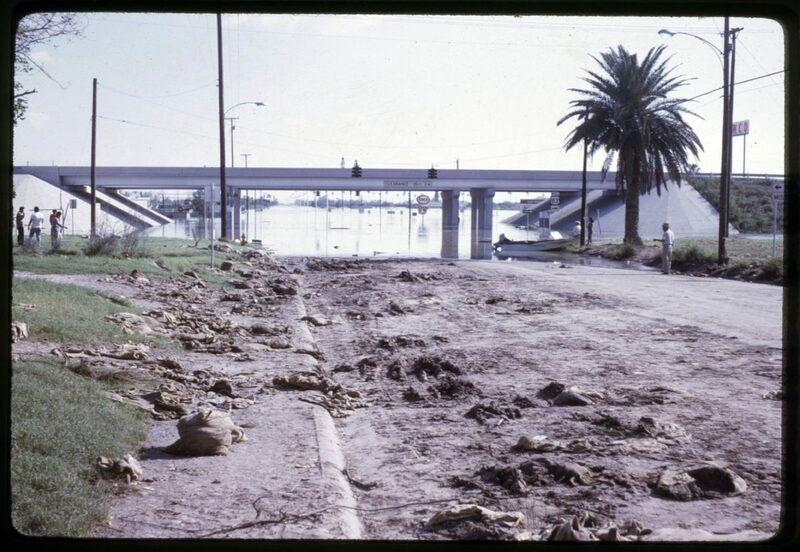 Then-Highway 83 and 10th Street in McAllen following Hurricane Beulah in September 1967 in McAllen. Within the past week over 3,000 lot owners received notices that their property “is being considered in a proposed annexation by the City of Palmview.” I got our notices this week. My wife owns a lot in Enchanted Valley and I own one in Golfview Estates. Both within the Martin Valley complex. Today’s front page stories describes what I consider to be stupidity and/or corruption, on the part of any government group to incur a loan in excess of $1 million to pay off indebtedness to the IRS for delinquent payroll taxes and fees. And on Friday, the Palmview City Council approved a property tax increase of 2.5 cents to help the city in coping with over $2 million in loans so they can grow. It is presumed that the City of Palmview can only grow if they annex additional taxpayers who would be incorporated into this city, which has been, and maybe still is, governed by financial and council persons who are incompetent while feeding off the public trough. The thousands of us property owners, many Winter Texans, do not want to be annexed by, and on board a sinking ship. Ned Sheats compared the Arkema plant to the LNG plants going into the Port of Brownsville. First, there is no comparison possible of these plants; Arkema had refrigeration requirements for chemicals used in manufacturing, a liquefied petroleum plant (LPG) does not. Also, similar LPG plants in Houston area are already up and running after Hurricane Harvey, as these plants are constructed to withstand flooding and storms. Second, while Arkema did lose its backup power during the recent storm, it is possibly due to the fact most manufacturers do not realize they are in a flood plane, do not raise there generators above the possible flood water level, and do not think the cost is justifiable. I am hoping insurers/municipalities issue new guidelines requiring on-site backup generators to be raised above 1,000-year flood levels. Included in these policies also should be the waterproofing of there electrical grids. This may be a good idea for the entire Rio Grande Valley to consider as the RGV is a river delta, meaning it is in a flood plane. Hurricane Beulah was just a 500-year flood; an Irma-style hurricane in the RGV could happen here. >> Utilities move to underground, water-resistant power grids. >> Companies must put their backup power systems above flood plane levels. These ideas also could help islands in the Caribbean.